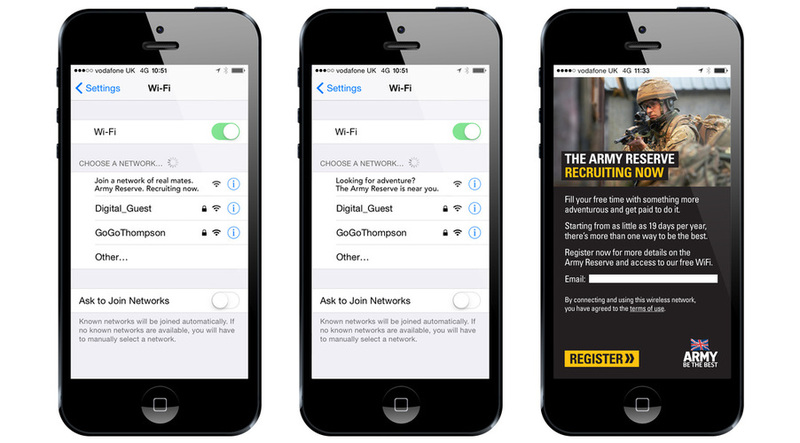 In brief: Target people looking for free WiFi and let them know that they’re near an Army Reserve Centre. Making a short story long: This was an extra idea we had outside of any formal brief. But is based around the idea that most people don’t go anywhere now without looking for free WiFi. This would involve giving people free WiFi and letting them know they’re near an Army Reserve Centre where they could be spending their free time doing something far more rewarding.